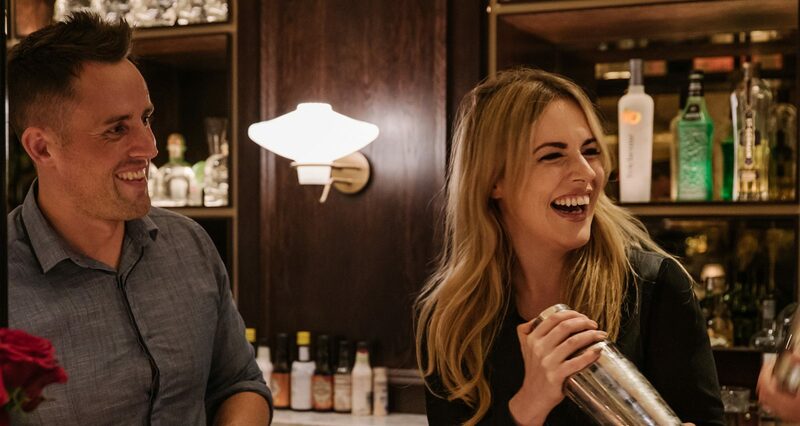 Whether you’re a cocktail connoisseur who fancies fine-tuning their skills or a group of friends looking for a great night out, getting behind the bar with our team is the perfect way to learn about shaking, stirring and straining your way to delicious drinks. There’ll be plenty of cocktail making (and drinking!) in our full masterclasses, plus our mini masterclasses are perfect for those looking to find out more about gin or whisky. £30 per person, two hours per class. Start with a cocktail on arrival, then watch our bar team shake up a few more. Next, you’ll get behind the bar to make a classic cocktail and one from our menu. £40 per person, two hours per class. All the drinks you’ll find in our signature masterclass, plus we’ll get everyone involved in a cocktail making competition and there’s a few goodies to take home. £20 per person, 30 minutes per class. A whistlestop tour of the history of gin or whisky, with a few samples for good measure. Classes run all day Sunday to Thursday, Friday until 6pm (last class) and Saturday until 4pm (last class).